Advertising Remarks Enjoy the amazing and peaceful views of Lake Michigan all year long! This condo features an open concept with hardwood floors throughout. Sliding glass door provides a lot of natural light and leads to the large deck; perfect for entertaining and relaxation. The resort amenities include an outdoor pool, playground area, and laundry facility. Just a short trip down a paved road you will be looking at Lake Michigan and 320 ft. of deeded beach frontage. 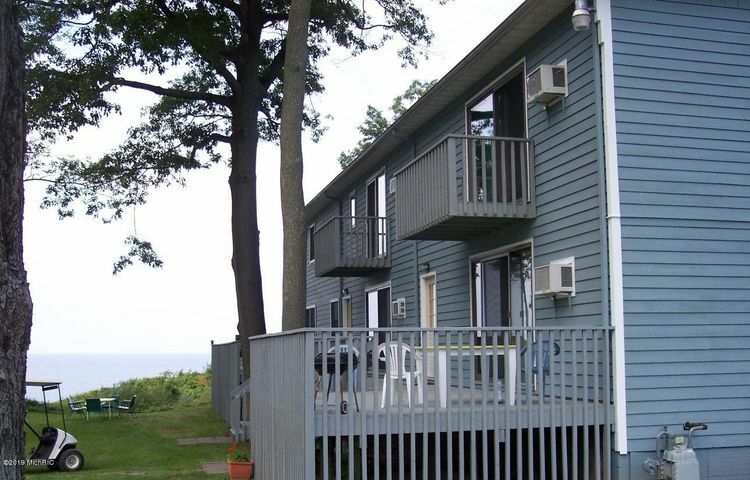 This condo is great for year round living orjust to use as a vacation spot. The condo is currently used for weekly summer rentals. Located only 30 min. to South Haven and 2 Hours from Chicago. Association dues include heat, common laundry area, pool, yard area, snow removal, water, and sewer.